Eitan Haber (1979). Menachem Begin: The Legend and the Man. Dell Publishing Company. p. 136. আইএসবিএন ৯৭৮-০-৪৪০-১৬১০৭-৩. "A while later Anders's Chief of Staff, General Ukolitzky, did agree to the release of six Jewish soldiers to go to the United States on a campaign to get the Jewish community to help the remnants of European Jewry. The Chief of Staff, who was well acquainted with Dr. Kahan, invited him to his office for a drink. There were a number of senior officers present, and Kahan realized that this was a farewell party for Ukolitzky. 'I'm leaving here on a mission, and my colleagues are throwing a party but the last document I signed was an approval of release for Menahem Begin.'" Bernard Reich (1990) Political Leaders of the Contemporary Middle East and North Africa Greenwood Publishing Group. আইএসবিএন ৯৭৮-০-৩১৩-২৬২১৩-৫. p. 72. "In 1942 he arrived in Palestine as a soldier in General Anders's (Polish) army. Begin was discharged from the army in December 1943." Harry Hurwitz (2004). Begin: His Life, Words and Deeds. Gefen Publishing House. আইএসবিএন ৯৭৮-৯৬৫-২২৯-৩২৪-৪. p. 9. "His friends urged him to desert the Anders Army, but he refused to do any such dishonourable thing and waited until, as a result of negotiations, he was discharged and permitted to enter Eretz Israel, then under British mandatory rule". "Biography - White Nights". Menachem Begin Heritage Center. Retrieved 16 January 2012. "Many of the new recruits deserted the army upon their arrival, but Begin decidedly refused to follow suit. 'I swore allegiance to the Polish army – I will not desert,' he resolutely told his friends when he was reunited with them on Jewish soil. Begin served in the Polish army for about a year and a half with the rank of corporal... At the initiative of Aryeh Ben-Eliezer and with the help of Mark Kahan, negotiations began with the Polish army regarding the release of five Jewish soldiers from the army, including Begin, in return for which the members of the IZL delegation would lobby in Washington for the Polish forces. The negotiations lasted many weeks until they finally met with success: The Polish commander announced the release of four of the soldiers. Fortunately, Begin was among them." Amos Perlmutter (1987). The Life and Times of Menachem Begin Doubleday. আইএসবিএন ৯৭৮-০-৩৮৫-১৮৯২৬-২. p. 134. "In the Ben Eliezer-Mark Kahan version, Begin received a complete, honorable release from the Anders Army. The truth is that he only received a one-year leave of absence, a kind of extended furlough, in order to enable him to join an Anders Army Jewish delegation which would go to the United States seeking help for the Polish government-in-exile. The delegation never materialized, mainly due to British opposition. Begin, however, never received an order to return to the ranks of the Army." ↑ Gwertzman, Bernard. 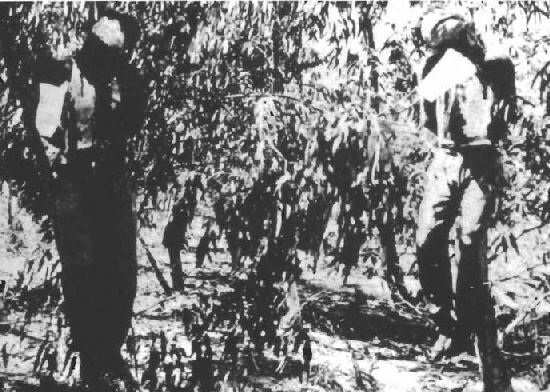 Christian Militiamen Accused of a Massacre in Beirut Camps; U.S. Says the Toll is at Least 300 ওয়েব্যাক মেশিনে আর্কাইভকৃত ২ মার্চ ২০১৪ তারিখে. The New York Times. 19 September 1982. মেনাখেম বেগিন on the Knesset website. (রুশ) About the future Begin Monument in Brest, Belarus, Vecherniy Brest, Brest, Belarus. (রুশ) Unveiling of the Begin Monument in Brest, Belarus (October 31, 2013), Vecherniy Brest, Brest, Belarus.